What is Kudzu Kids: Pooch Sleuths? 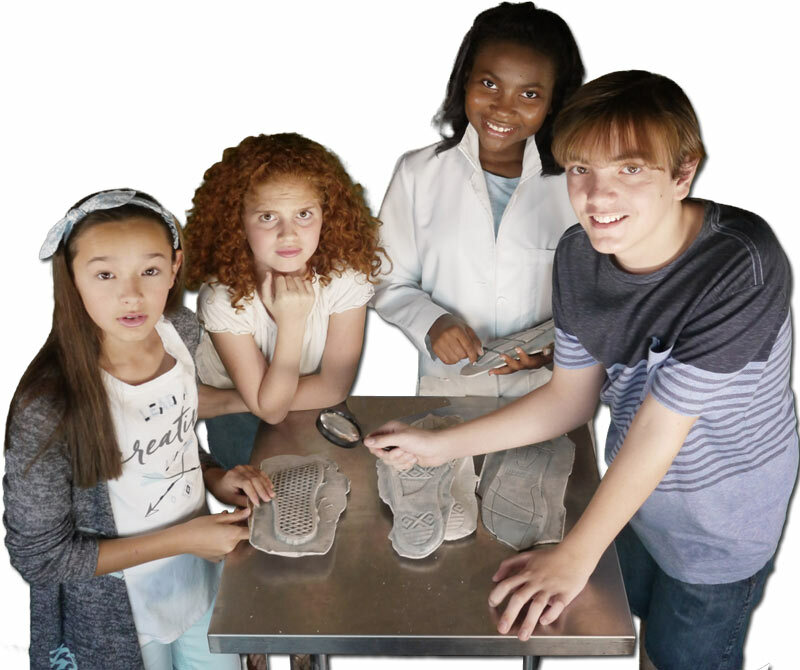 The Kudzu Kids are a group of friends — Rachel, Zach, Melody and Emma — who investigate mysteries in fictional Yoknapatawpha County, Mississippi. This time, they’re investigating the large number of missing pets reported recently in their neighborhood. To investigate the case, start here. From there, proceed through each section to gather clues. How do I navigate through a section? Use the yellow Previous and Next arrow buttons to move between documents within a section. At any time, you can click the header at the top to see all of the case documents included in that section. How do I move to another section? Use the menu on the left to move between sections. How can I find a specific case document? Use Search at the bottom of any page to locate a particular interview, bio, or evidence document. Is there an overview of the whole investigation? The Case Recap provides a summary of the Kudzu Kids’ efforts to get to the bottom of the mystery without spoilers. Click the info button on the left to view the recap at any time. How do I solve the case? When you’re ready to find out if you correctly identified the culprit, click Solve It in the menu on the left. When prompted, enter the password that was included with your kit. If you don’t have a password, you can get one here.